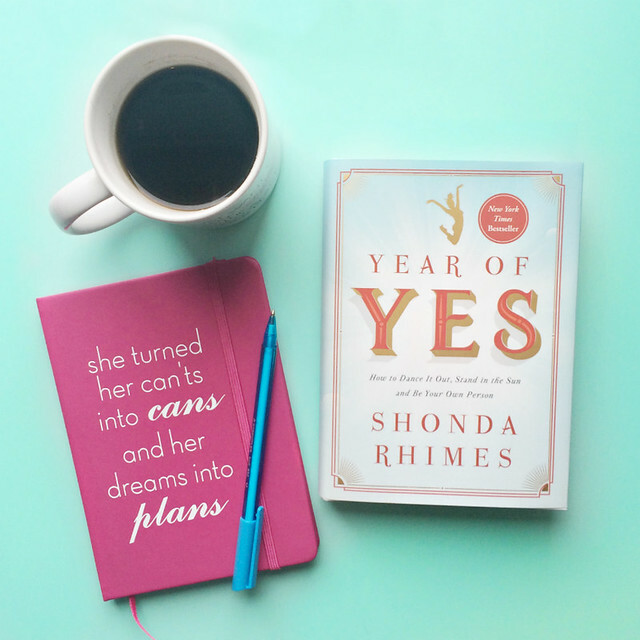 Year of Yes by Shonda Rhimes! She’s the creator and producer of some of the most groundbreaking and audacious shows on television today: Grey’s Anatomy, Scandal, How to Get Away with Murder. So who would suspect that Shonda Rhimes, the mega talent who owns Thursday night television (#TGIT), is an introvert? That she hired a publicist so she could avoid public appearances? Before her Year of Yes, Shonda Rhimes was an expert at declining invitations others would leap to accept. And then, on Thanksgiving 2013, Shonda’s sister muttered something that was both a wake up and a call to arms: You never say yes to anything. The comment sat like a grenade, until it detonated. Then Shonda, the youngest of six children from a supremely competitive family, knew she had to embrace the challenge: for one year, she would say YES to everything that scared her.